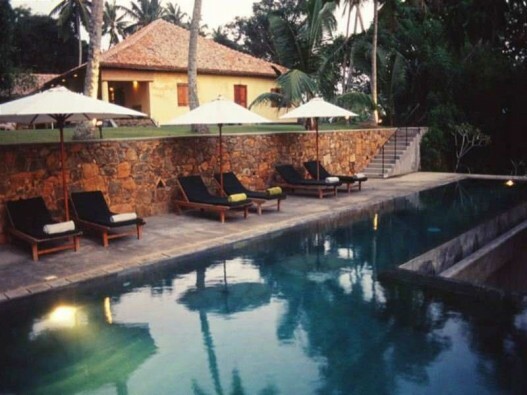 High on a hill with magnificent views of Galle Fort, The Dutch House is an exclusive property with discreet and friendly staff who ensure your privacy yet provide a relaxed and unpretentious atmosphere. Built in 1712, this historic mansion is full of Dutch-era antiques, has an English tropical garden complete with a croquet lawn and a treetop infinity pool. The Dutch House has 4 luxury suites that perfectly combine grandeur and comfort. Each bedroom is air conditioned with mosquito-net-draped 4 poster beds, luxurious silk drapes, cool polished concrete floors and stunning soft furnishings. The bedrooms lead into a private sitting room with comfortable sofas, writing desks and views over either Galle Fort, the croquet lawn or a private garden. Spacious bathrooms are fitted with fine showers and traditional claw-footed bath tubs. Voted as one of the World’s Top 20 Hip Hotels, The Dutch House is the ultimate indulgence.